Get Well Gift for Kids is rated 5.0 out of 5 by 1. Rated 5 out of 5 by Stella from Get well soon cookie Thank you for such a wonderful idea and for putting a smile on my nephews face! The sister was very impressed with the freshness and frosting! Will definitely order again! It's no fun being sick, especially when you're a kid. 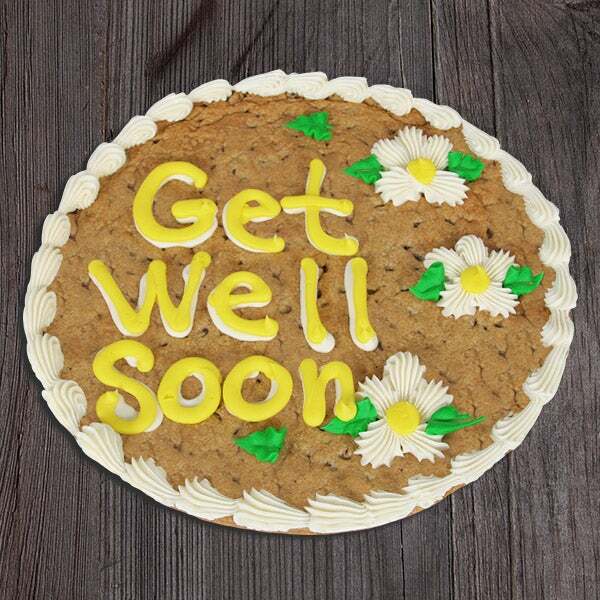 Our giant 12-inch cookie cake is the perfect way to brighten their day! This delicious treat is jam packed with rich chocolate chips and decorated by hand with smooth vanilla frosting, guaranteed to bring a smile to their face and have them feeling better in no time!